Tactical-inspired design meets EMS functionality. 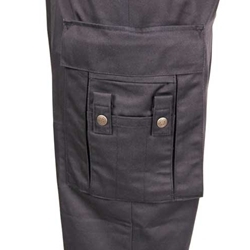 The Propper Men’s CRITICALRESPONSE EMS Pant features 17 pockets in a lightweight, twill material to help you perform in the most critical situations. DuPont™ Teflon® fabric protector adds stain and liquid resistance to the fade-, shrink- and wrinkle-resistant fabric. With a hidden slider waistband, reinforced knees and extra-large belt loops, there's a place for every tool and accessory you need. 30 32 34 36 Unhemmed length of 37"